Over the last few months, Tesla has made several changes to the terms of access to its Supercharger network. Most of the changes have to do with the phase out of free unlimited Supercharging. The only exception was the opportunity for current owners to buy new cars with free Supercharger access in the future. The terms made it sound like that would be indefinite, which of course wasn’t likely. Tesla has now clarified a deadline for the purchase of new vehicles to fall under the free unlimited Supercharger access. The pay-per-use model introduced earlier this year with 400 kWh in free Supercharger credit per year is still the default model for accessing the Supercharger network for all new vehicles being purchased last month onward. 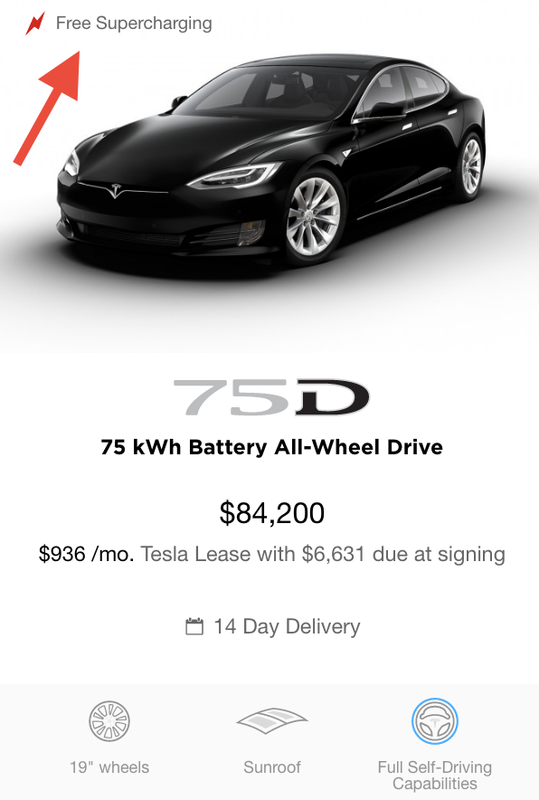 Now current owners are exempted from this pay-per-use model until the end of the year and new owners can still avoid it if they buy their Tesla through the latest referral program – also until the end of the year. Last year, it seemed like Tesla was aiming to end free Supercharging by the end of 2016, but all those recent changes make it look like the end of 2017 will now be the end of free unlimited Supercharging. Aside from the access structure, Tesla has also been making several updates to the fast-charging network, which is seen as one of Tesla’s biggest advantage on the EV market. Earlier this year, Tesla announced a new expansion of its Supercharger network to include larger stations with 50 to 100 stalls and those are expected to feature large solar carports. Musk also said that Tesla plans to disconnect ‘almost all’ Superchargers from the grid and go solar plus battery. They also announced a doubling of the number of Superchargers on the network by the end of the year and Tesla started construction or acquired permits for over 40 more stations since announcing the expansion less than 2 months ago. The main unknown information about Tesla’s Superchargers is when the upcoming ‘Version 3’ of the Supercharger will start being deployed.